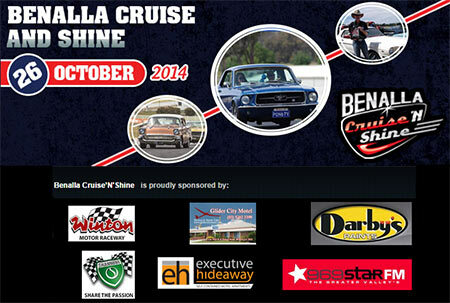 The 2014 Benalla Cruise 'n' Shine incorporates cruising the Winton Motor Raceway circuit and much more. Prizes and trophies will be available, plus flying and static aviation displays on the day. The Benalla Cruise 'n' Shine will be working with the Benalla Scouts to raise funds for their local club rooms and activities. The Benalla Scouts will be there on the day and have their own display.